It saddens me to have to say goodbye. You’ve brought such joy and comfort to my life. I must begin by thanking you. Ever since I fell victim to your seductive charm in Thailand, I wasn’t able to stay away. After you, I found that dinner never filled me and chocolate milk occupied my thoughts constantly. When I was bored, you were there for me, entertaining my mind with endless possibilities, whispering to me with your whitening products and cute pens. I remember the first time we met like it was yesterday. The 85-degree Bangkok heat was dragging me down, I needed a water desperately and didn’t know where to turn. Luckily, I didn’t have to turn, you were directly in front of me. I dragged myself towards the beautiful neon sign and was barely able to make it through your automatic doors. I was greeted by the comforting “ding” sound accompanied by a surge of cold air. How could I only get a water!? I suddenly knew there was much more to explore. First of all, I must say thank you for being honest with me about my skin color. Luckily, you sold enough whitening products to carry me on to years of successful paleness. In addition to being honest with me, you have been a shoulder to cry on, always supporting me with seaweed flavored chips, ham & cheese toasties, and my favorite honey roasted sunflower seeds. Seriously, without those sunflower seeds, I would have lost myself. 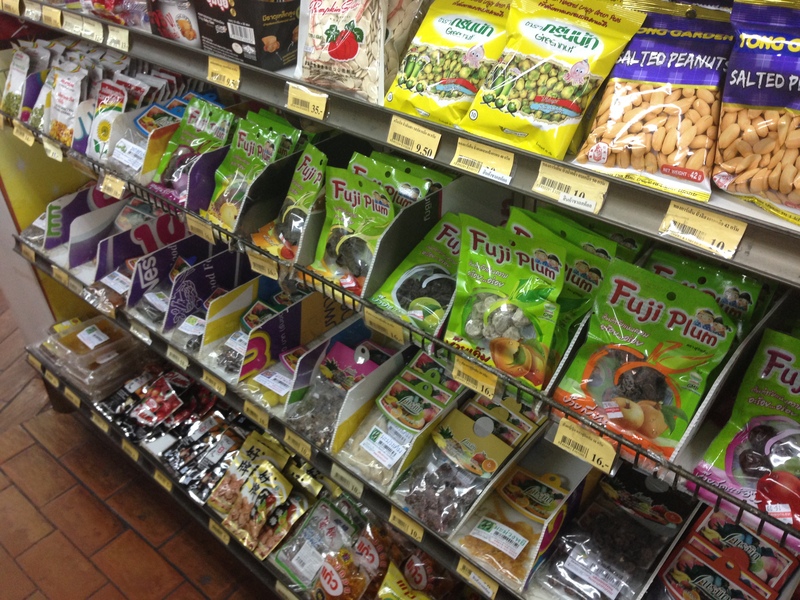 You’ve pushed me to try new things, like prepackaged pork buns, and fish-flavored peas. You’ve expanded my imagination with unicorn notebooks and fake American flag hats. And most importantly, you’ve helped me gain five pounds. Weight I hope to never lose, so I never have to forget the time we spent together. 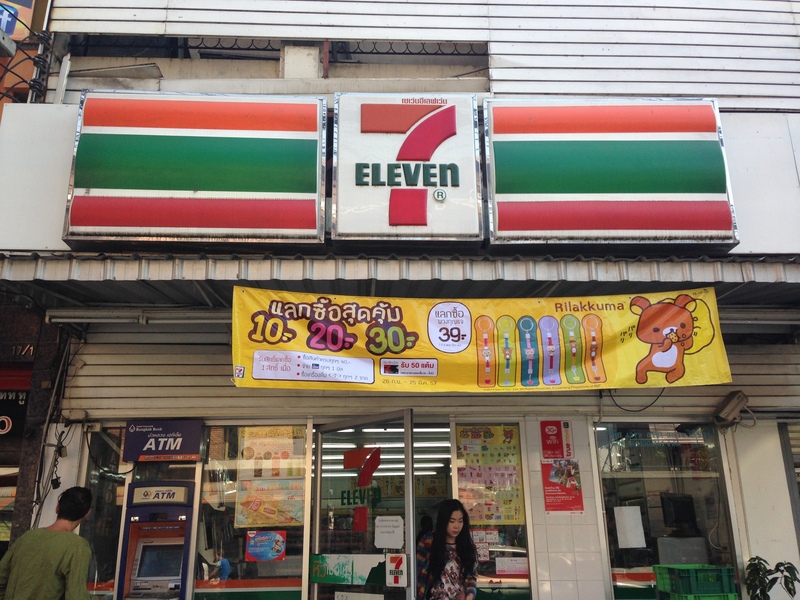 I must admit, when we first left Thailand and entered Laos, I looked for a 7/11 everywhere only to be sorely disappointed. This led to a lengthy and traumatic depression that seriously spoiled my love for anything new. All colors blurred to grey, food lost its taste, and my belly started to get smaller. 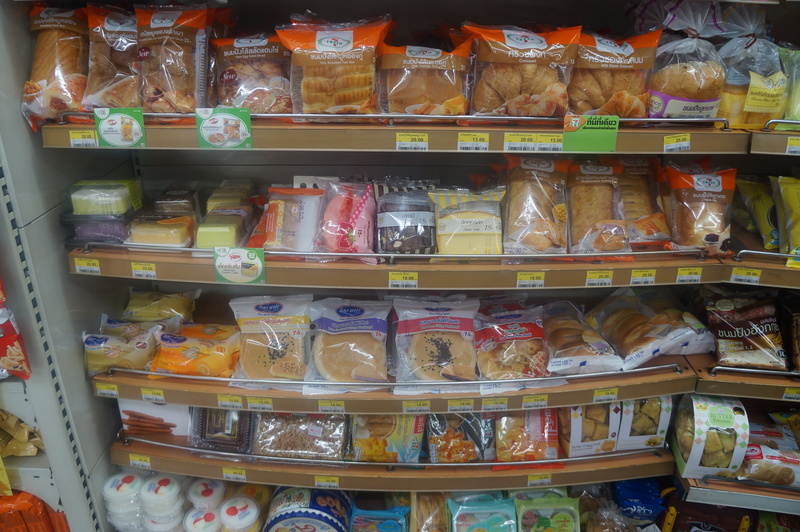 To cope, I tried every “convenience store” under the sun, hoping that one of them would wake some long-forgotten desire deep within. Though many tried, none would match your grace or energy. When people think about Thailand, they imagine beaches, temples and mountains. They never even think to mention 7/11, and that is something I vow to change. Your presence is overwhelming (in a good way), and your neon lights pierce through the stars in the sky (in a good way). It’s been months since I felt your love and support around me. The 7/11’s at home could never match your integrity. I long for the moment when we are reunited. I miss you, I love you. Sa-wat-dee-kha. So beautifully written……it makes me want to run to 7/11, to see if I can feel any bit of your experience. Perhaps, Thailand will be the only one? 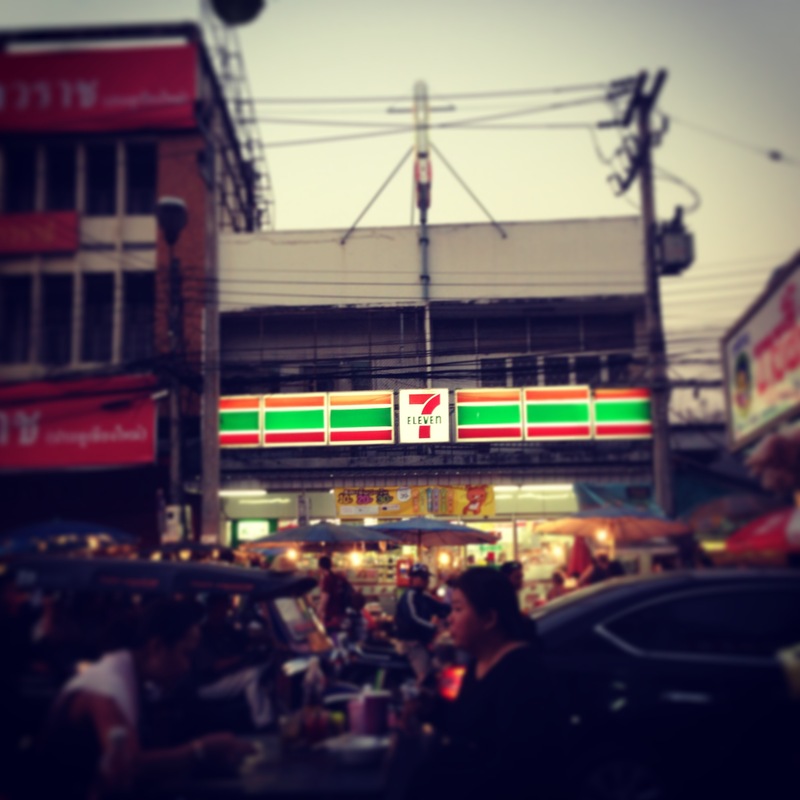 There really are not enough 7-11’s in the rest of the world, is there?